It’s dyeing day at our house and the colors are inspired by Saint Valentine’s Day. The palette: hot colors, shades of love: pinks, corals, and peaches. Into the pot go old faded shirts, uninspiring shades of pillow cases and some jammies that needed a love boost. 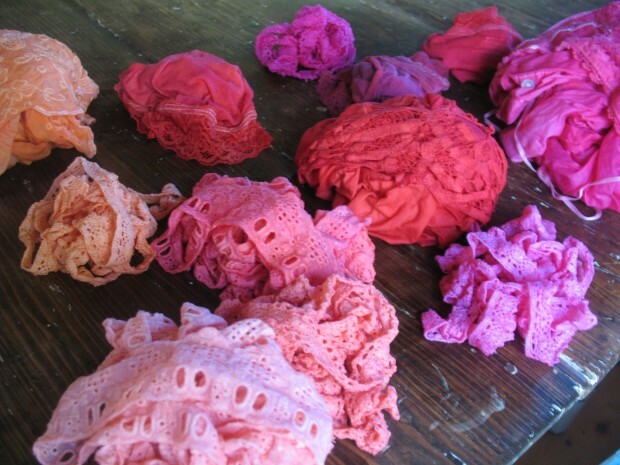 In the dye bath go cotton ribbon and eyelet lace. After the dye pot, they go into the washing machine for a cold rinse and wash. Then, onto the drying rack in a sunny window. As the ribbon dries it takes on a vintage tone. 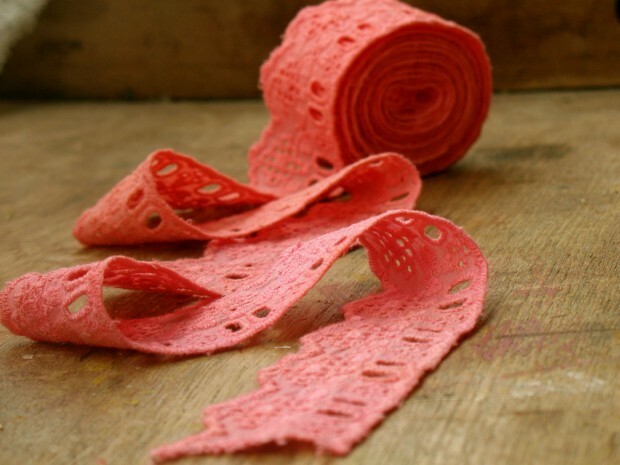 The subtle color flecks and variations of hand dyeing remind me of relics of antiquity. 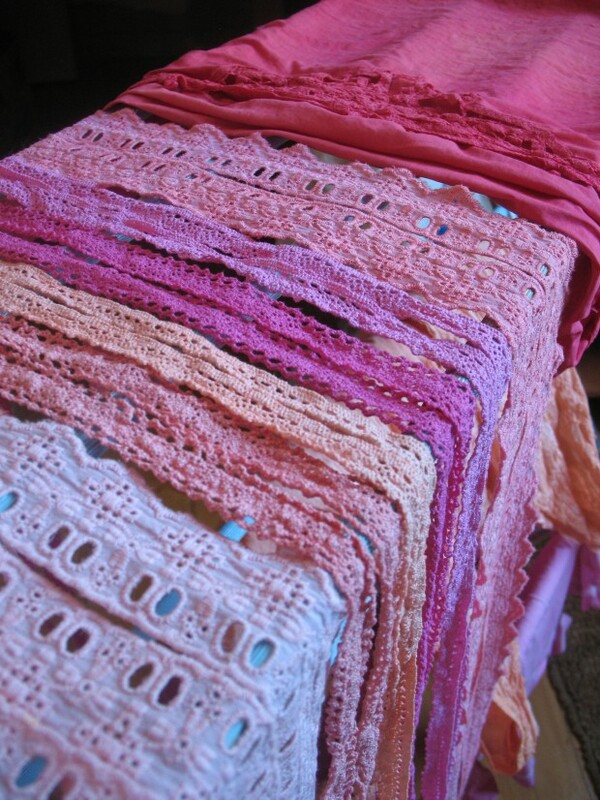 As a lover of color and texture, these fabrics drying in the soft sunlight are a feast for my eyes. 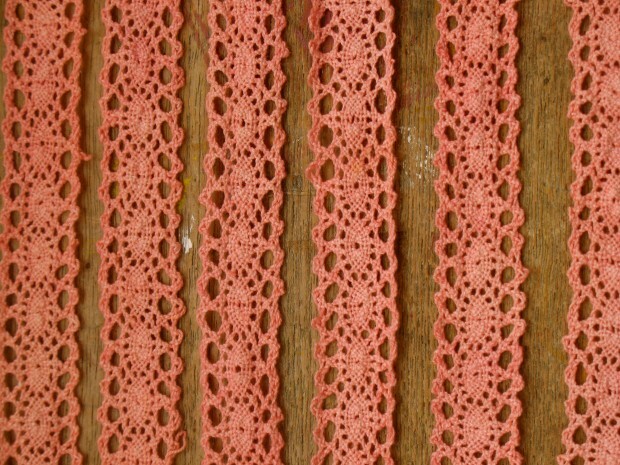 Hand dyed coral pink eyelet ready to sell as one of my newest item in my Etsy shop. 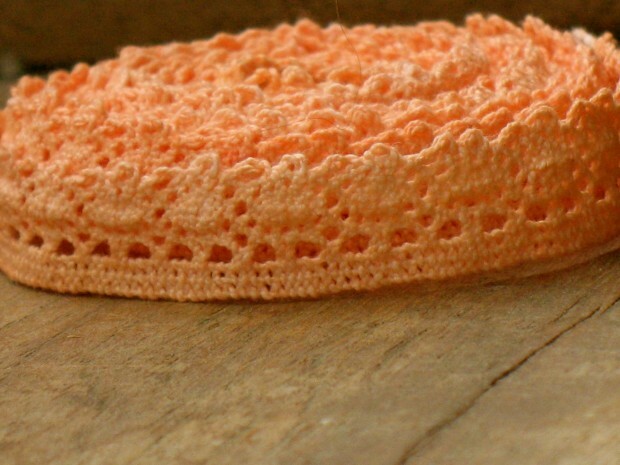 Soft apricot cotton lace ribbon.